This week, we are entering into a new journey on the SouthSide blog. The weekly bloggers will now post every day about the Intersection Bible Study Method scriptures, and on Friday, we will share the connections that our hearts made with the passages. It promises to be quite a ride! Are you ready? Let’s go! But the best part of the story is Jesus explaining why . . . telling His friends that sometimes, they need to get out of the way. Don’t let anything distract you or get in the way, He says – including your own hand or foot or eye! Now, was Jesus literally telling us to chop off our appendages or gouge out our eyes? I sure hope not! Instead, Jesus is telling us that nothing is more important than the Way – nothing. There’s another beautiful nugget at the end of this passage. “Everyone’s going through a refining fire sooner or later, but you’ll be well-preserved, protected from the eternal flames. Be preservatives yourselves. Preserve the peace (v. 49-50, MSG).” What a strong reminder that it’s not my way or your way – it’s God’s way. 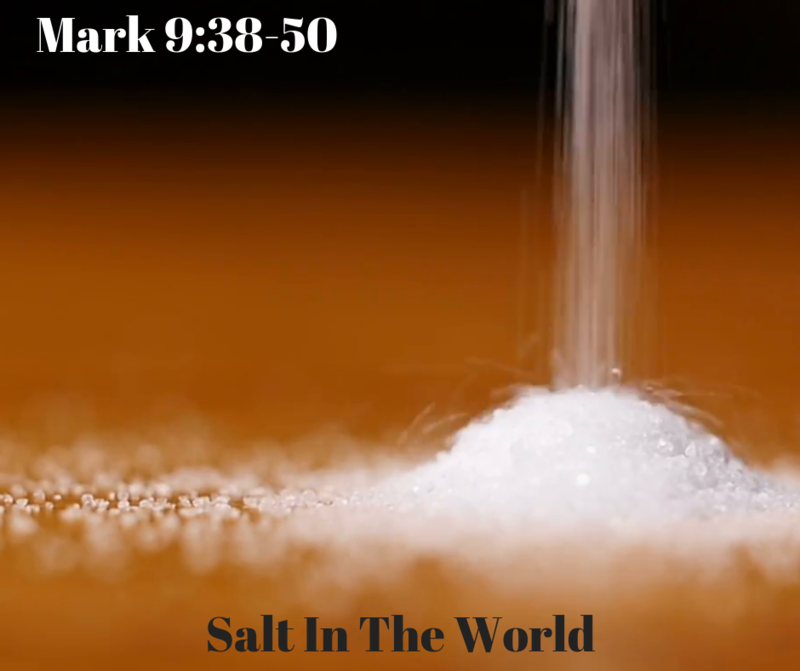 Today, let’s find a way to be salt in this world, and preserve the peace God pours out on us. Great devotional. You picked up several things that I didn’t notice in the text. Thanks for sharing!